Nothing signifies the arrival of the holidays in the Lowcountry like the return of Taste of the Season, the culinary event of the year presented annually by the Hilton Head Island-Bluffton Chamber of Commerce. The ultimate experience for Lowcountry foodies moves to a new venue at Country Club of Hilton Head this year, which will provide an elegant setting to kick off the holiday season. More than 27 of the Lowcountry’s best chefs will pull out all the stops to create a diverse collection of world-class entrees, and desserts and compete for the coveted “Best Cuisine” award — and the bragging rights that accompany it. Attendees will have the opportunity to sample as many offerings as they like in an elegant, intimate setting. A silent auction loaded with a variety of great gifts — including travel and golf packages — also provides a chance to get an early start on holiday shopping. The VIP ticket option is back by popular demand and offers access to a private bar, private lounge seating, and preferred parking. Preparing a dish with “wow factor” for such a large group is no simple task for a chef, especially while staying true to what his or her restaurant does on a daily basis. The night also gives chefs an opportunity to interact with one another and get some face time with current customers, as well as potential new customers. Bescos has participated in Taste of the Season for a decade, and his goal each year is simple: “To top what I and my team did the previous year, not only from a culinary aspect but also in terms of presentation.” Last year’s king crab surf and turf will be tough to beat, so Bescos starts brainstorming more than a month before the event. Johnson goes as far as hitting the books, cramming like a college student during finals week in search of ideas for unique dishes that might give Michael Anthony’s an edge. “It’s something that we can become creative with and go out and do something that really makes an impression,” Johnson said. “It’s a great opportunity to get those people who have never heard of us and show them what we can do." Don’t miss Taste of the Season, one of the top culinary events of the year. 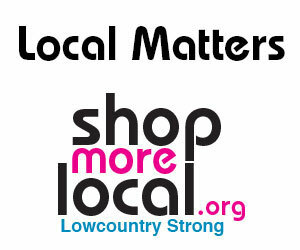 For details, go to www.hiltonheadblufftonchamber.org.